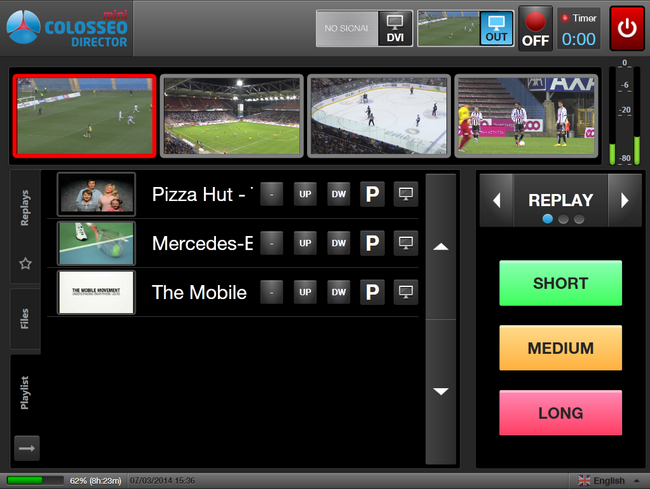 The miniDirector, like its big brother the Colosseo Director, manages content on a stadium’s LED screen. The miniDirector is a full-featured video control system and advanced video processor allowing video mixing and switching with an input for separate CGI generation, combining up to 4 HD/SDI and DVI inputs in a standard configuration. 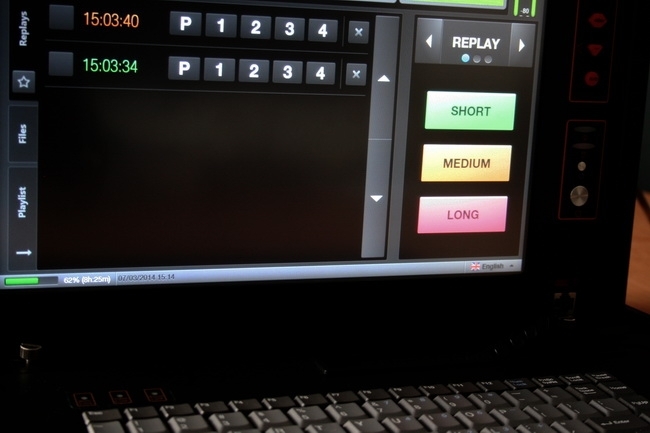 The miniDirector’s replay system lets an operator quickly and easily create a replay from any camera plugged into the miniDirector. From a laptop set up for OSD (sports graphic generation), graphics can be easily imported and displayed on the main LED scoreboard. For live graphics, there is a DVI input for an external chroma keyer. 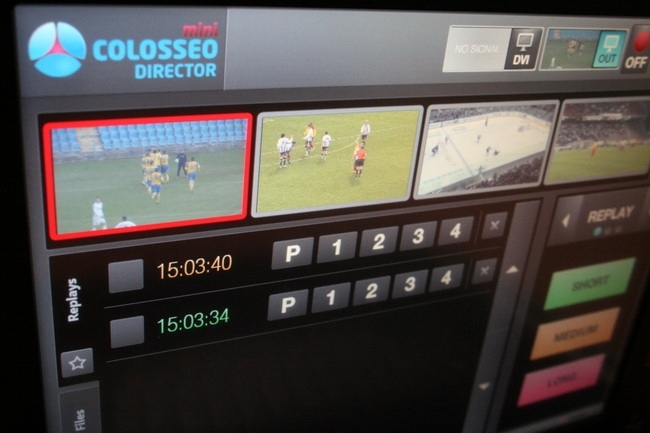 Colosseo has programmed in 20 different sports timing requirements so arenas can quickly and easily set up timekeeping for any number of sports. The Colosseo miniDirector is focused on game basics and is easily operated by a touch screen, keyboard and touchpad from the operator’s console so only one operator is needed to comfortably control the scoreboard and timer. Timer application with support for ice hockey, football, athletics, basketball, voleyball, tennis, curling, etc.